One of their early concepts was the breakthrough GO boards. The wider and shorter, more user friendly Windsurf boards, instantly recognized Starboard as the innovative trendsetter. And the concept was used to revolutionise all niches of windsurfing from entry level to waves. Slalom and freestyle. In 2006, Starboard Svein wanted to develop a new type of lightwind windsurfing boards, the whole project turned into paddle boarding and saw Starboard become the first brand to mass produce paddle boards on an international scale. 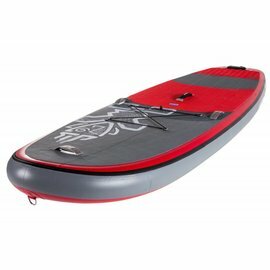 Then things happened really quick with Starboard developing an exciting range of boards from the shortest wave boards, to the longest race boards, tandem boards. Board like the 10’ x 34” Whopper made sup surfing available for everyone. Starboard further revolutionised the SUP industry with super light carbon sandwich boards. Starboard has won hundred of world champion titles over the years with its strong international team and the brand says as dedicated to the top professional level as to the basic entry level.